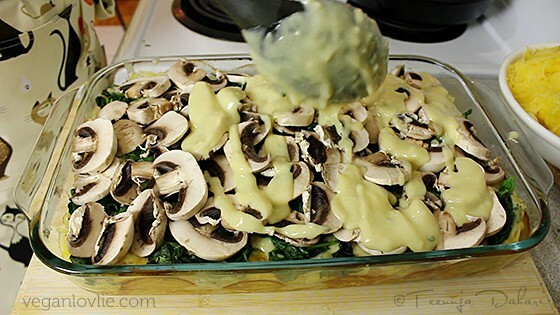 A vegan spaghetti squash gratin that is creamy with a bed of potatoes for the base, mushrooms and spinach layered in between and light low fat vegan bechamel sauce. It seems that I can’t get enough of and-i-shall-eat-strands-of-gold this season. If it is not for its ever so slightly sweet taste, its texture is what makes this vegetable really unique. My favourite part is actually the scraping of the flesh that magically turns into golden strands leaving me almost always in awe at the intricacies of nature. After all, I have quite recently discovered this vegetable since my arrival in Canada. Strangely, I do not recall seeing spaghetti squash in Ireland nor the UK even though I am almost sure they must have been there; I guess I have never paid any attention to this vegetable before. I am glad that curiosity has had the better of me into luring me to try it out; oh the nice dishes I would have missed otherwise! 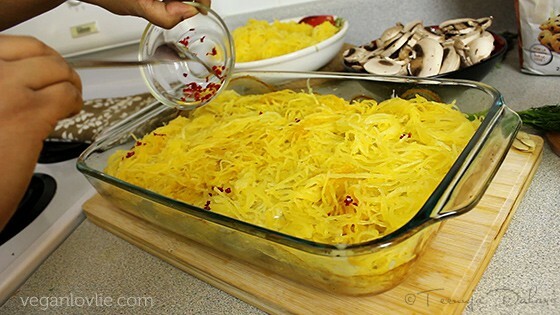 After my previous sweet recipe with this versatile winter squash, here is yet another of my favourite way of eating spaghetti squash – in gratin. 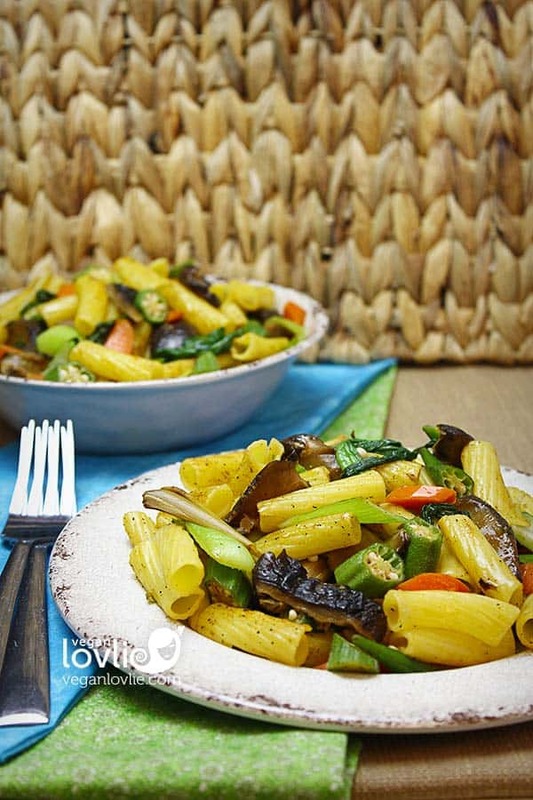 Infact, it is Boyfriendlovlie’s favourite way of eating it too; he believes it’s the perfect combination of taste and texture for this squash. While most of the time I make a plain gratin with only the squash, I very often like to enjoy a gratin as a complete meal in itself accompanied by a green salad. So, in this version, I have added potatoes, spinach and mushroom to make it into a main dish. 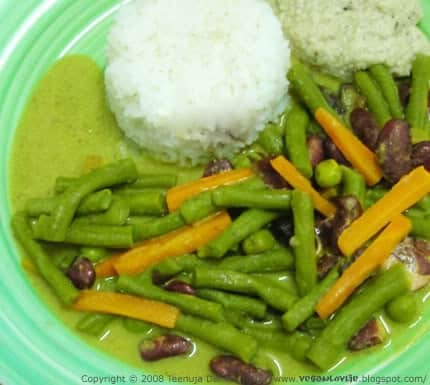 The recipe below is a rather large portion that generously feeds six hungry people. 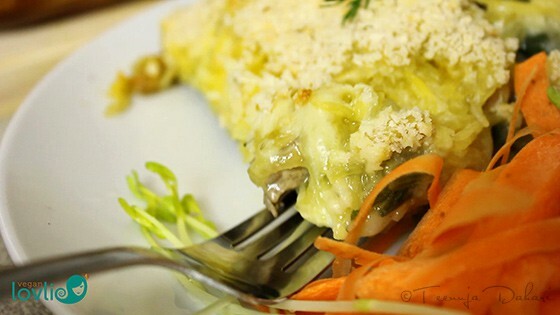 I find that this spaghetti squash gratin makes a perfect packed lunch for work the next day plus another dinner. I haven’t tried freezing it but I am sure it would keep well in the freezer too if you to preserve it for longer or else just halve the recipe (but do allow a little more than half of the sauce). 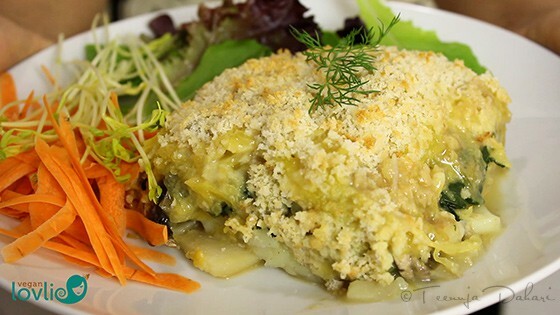 Watch the video for the easy steps – How to make vegan Spaghetti Squash Gratin. The full recipe is below with extracted images from the video (I didn’t get a chance to photograph the steps and by the time the gratin was finished it was already to late for me to photograph it separately; I was hungry!). Preheat the oven at 180° Celsius or 350° Fahrenheit. First, cut the spaghetti squash in half lengthwise. Remove the seeds with the help of a spoon. Place the squash on a baking tray, lined with parchment paper, with the inside of the squash facing down. Start preparing the potatoes. Peel and cut them into slices of about 1/2 cm thickness. Grease a rectangular baking dish (this is the same dish we are going to use for the gratin). 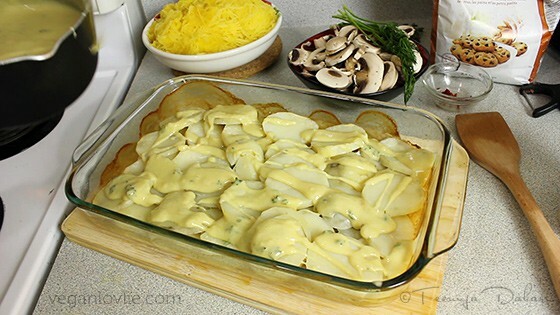 Place a layer of the potato slices on the bottom. Pour 1/2 cup of coconut milk on the potatoes then top with the rest. Pour another 1/4 cup of coconut milk on the second layer of potatoes. 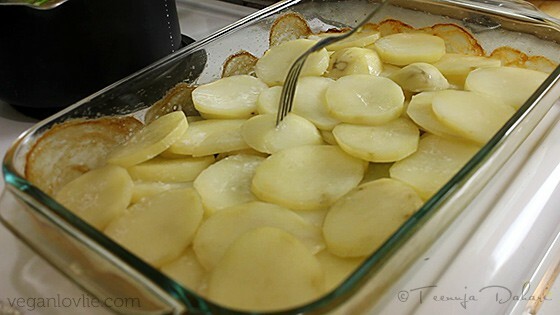 Cover the dish with aluminium foil (this is important for the potatoes to cook). Slice the mushrooms. Deseed the chili, then finely chop it. Set these aside. 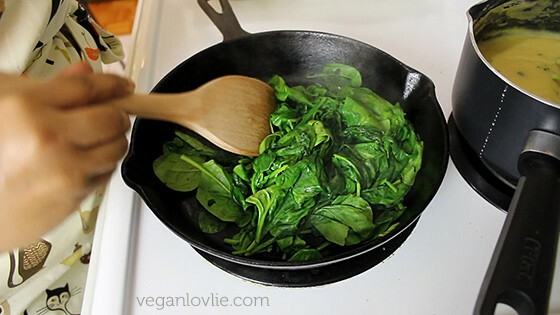 Place the spinach in a skillet and cook until slightly wilted. Pour the oat milk in a saucepan. 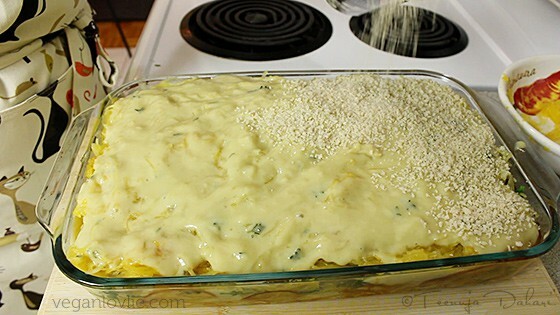 Add the flour, then nutritional yeast. Stir and mix well. Add a couple sprigs of thyme. Add the lemon juice. Turn on the heat on medium and heat for about 12 minutes. The sauce would have thicken and should not be too runny. Add salt. Turn off heat and set aside. After 45 minutes, the squash and potatoes should be ready. Remove them from the oven and test if they are done with a fork. If they are soft, they are cooked. 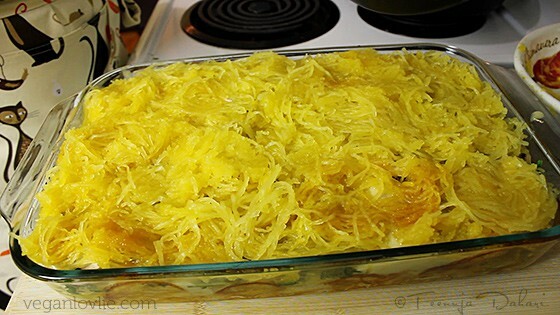 Scrape the flesh of the spaghetti squash with a fork and scoop out the strands. We are going to proceed in alternating layers of vegetables and sauce. We will need four layers of sauce, so estimate 4 parts when adding the sauce. Pour a layer of sauce on the potatoes followed by a layer of spaghetti squash. Next, sprinkle the chilies evenly, then add some chopped dill. Drizzle another layer of the sauce on the squash then add the spinach. Add the mushrooms then drizzle some more sauce on top. Next add a final layer of spaghetti squash followed by a layer of the remaining sauce. After 30 minutes, leave the gratin to cool for 15 minutes before cutting and serving. To make homemade oat milk, adjust proportion to 2 cups quick oats + 6 cups water. 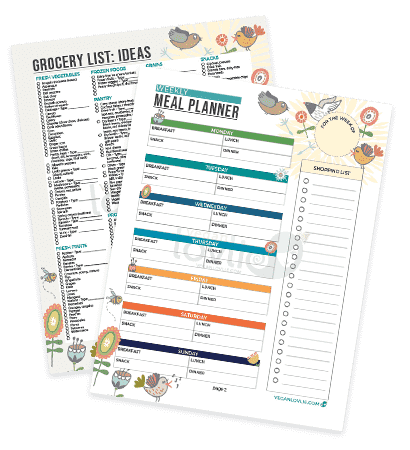 Use gluten-free oats for gluten-free version, or other non-dairy milk. Previous Post: « How to Deseed a Pomegranate without the Mess! 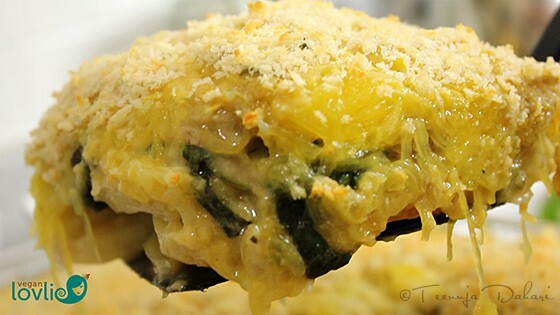 I find that spaghetti squash works really well in a gratin. 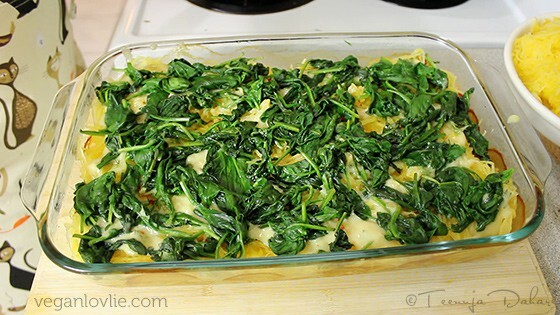 I think I&#39;ve made this gratin 3 times already! 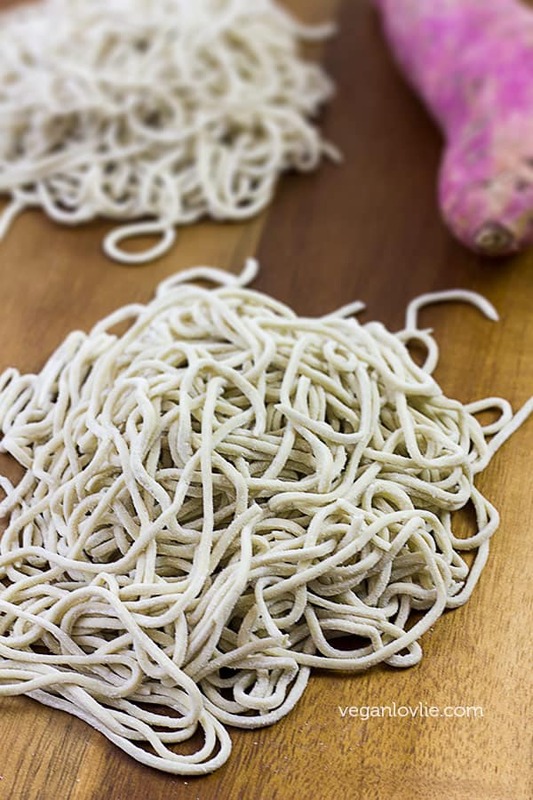 Rika, I also don&#39;t quite like spaghetti squash as a replacement for pasta. It lacks the satisfying-factor! But I really love it in this gratin. Sometimes I make it plain, without the potato base and it is still really yummy. 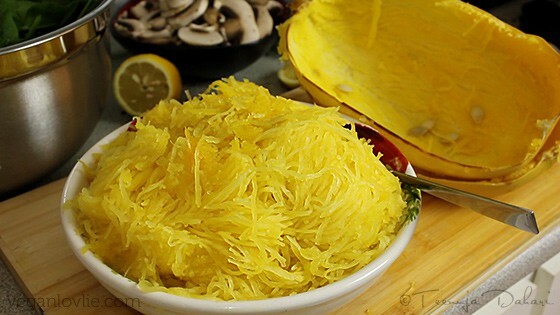 LOVE spaghetti squash. this casserole looks great!